ARC - Map - Map for the Parallax game ARC created by mars2000you. Magnar - Maps - Maps for the Parallax game Magnar created by mars2000you. GENIC Picturedisk 08 Menu - Map - The menu of this diskmagazine is a small exploration game, designed by Shadow. Map of this menu created by mars2000you. Black Cyclon - Maps - Maps for Black Cyclon created by mars2000you. Antarctic Adventure Joystick Patch - Patch to extend the usage of joystick in this game, by GDX. Athletic Land Joystick Patch - Patch to extend the usage of joystick in this game, by GDX. Time Pilot Joystick Patch - Patch to extend the usage of joystick in this game, by GDX. Frogger Joystick Patch - Patch to extend the usage of joystick in this game, by GDX. Super Cobra Joystick Patch - Patch to extend the usage of joystick in this game, by GDX. Video Hustler Joystick Patch - Patch to extend the usage of joystick in this game, by GDX. Sparkie Joystick Patch - Patch to extend the usage of joystick in this game, by GDX. Crazy Train joystick & PSG I/O ports patch - Patch to extend the usage of joystick in this game, by GDX. Juno First Joystick Patch - Patch to extend the usage of joystick in this game, by GDX. Mouser Joystick Patch - Patch to extend the usage of joystick in this game, by GDX. Patch for The Cure (XL2S Entertainment) - Patch to fix graphics corruption on MSX1 by GDX. I was wondering, what's the difference between "MSX downloads" and "MSX related downloads"? 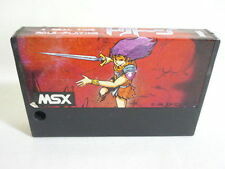 MSX downloads used to be MSX software. 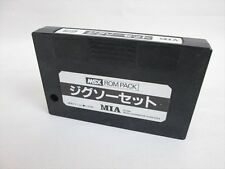 The MSX related downloads used to be non-MSX software, like MP3 files. 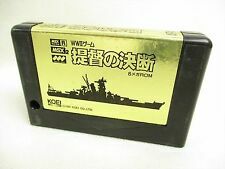 Seems mixed up, unless you consider an MP3 to be an MSX file just because we have MP3-cartridges. Either way, it seems mixed up somehow. 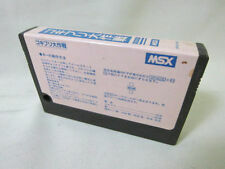 MP3 is not a format created on a MSX computer, it can only be read on MSX, at least if you have the appropriate cartridge. As you can't create MP3 files with a MSX, I guess it should be excluded from the MSX category and only be viewed as MSX related. Uhm, if you can write bytes to a file, you can actually create MP3 files with an MSX, if you know what bytes to write. That was exactly why I asked, having MP3 music in both categories muddle the things a little. I was also curious about what defines something as "MSX download" and "MSX related download". For example, both MP3s at the top of each ranking are in the Music -> MP3 category. How does one get in the "MSX download" ranking and the other gets in the "MSX related download" ranking? My head hurts! As wolf said, this looks messed up. It used to be properly separated. That mp3s seem to be the only things msx related that reach the top 10 must be because of the music player. There's no reason for so many downloads of such dated music. Also: does each playback in the player count as a download?